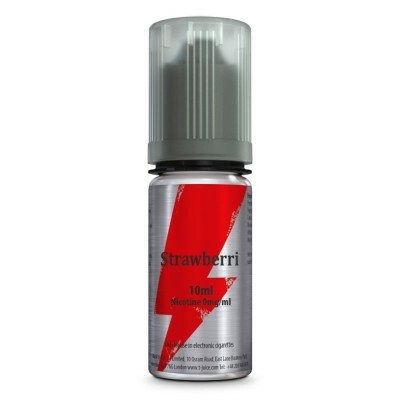 One of the older E-Liquid brands, T-Juice has been manufacturing e-liquids in the UK since 2012 when its creators were frustrated by the limited range of e-liquids available at that time. T-Juice were one of the first to move away from single flavour e-liquids, going for abstract names which reflected a more complex flavour. T-Juice pride themselves on manufacturing all their juices with natural or nature-identical ingredients. Each juice is made with a PG:VG mixture of 50:50, making them ideal for mouth to lung vaping. T-Juice is manufactured in a state of the art factory in London. All e-liquid is made with pharmaceutical grade nicotine, and all ingredients are sourced in either the EU or the USA, with 95% of ingredients procured right here in the UK. T-Juice undergoes strict batch control to ensure the quality of every e-liquid in every bottle.